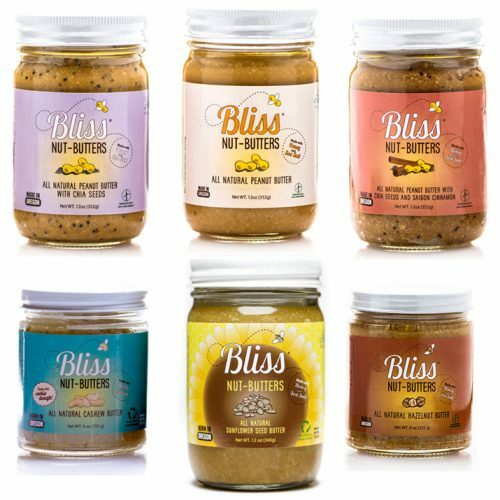 Packed with anti-oxidants and low on the glycemic index, Chia Seed Peanut Butter Bliss is an all-natural peanut butter made with dry roasted peanuts, nutrient-rich chia seeds, honey produced right here in the Pacific Northwest, heart-healthy oils and a hint of sea salt. 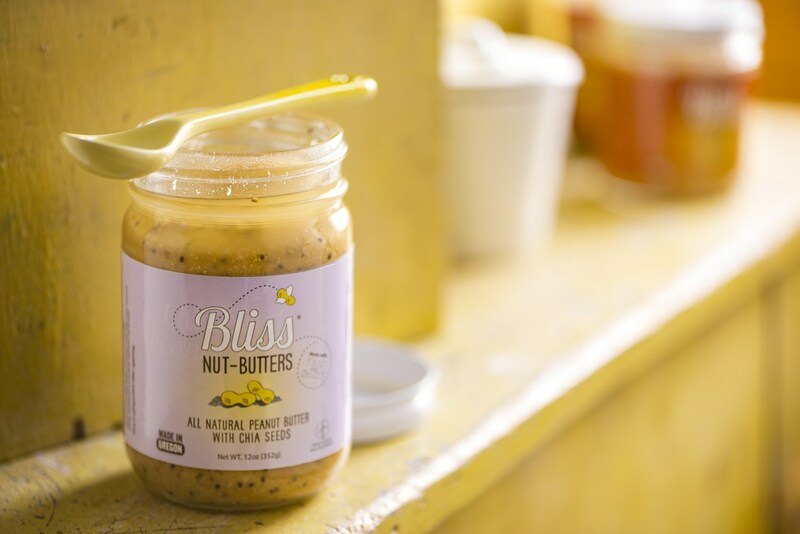 There are no preservatives, no additives and our peanut butter is packaged in a glass jar that is recyclable, sustainable and reusable. Our Fresh Ground Process gives our nut butters their unique taste and texture, and allows us to preserve the integrity of all the wonderful ingredients. Our dry roasted peanuts are blended with roasted peanut oil and cold pressed sunflower oil, which are high in Omega 3’s and 6’s. 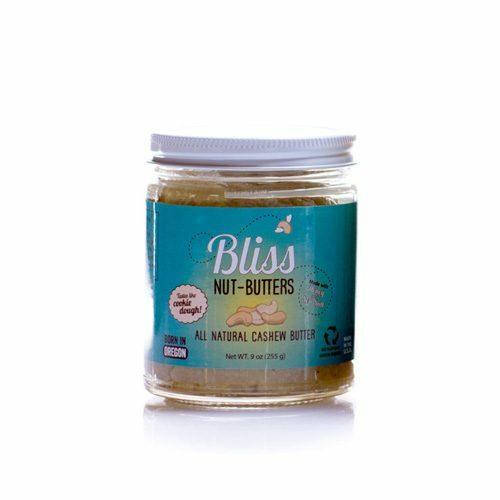 Our organic, non-GMO honey can help with allergies, is good for gastrointestinal health and is low on the glycemic index. 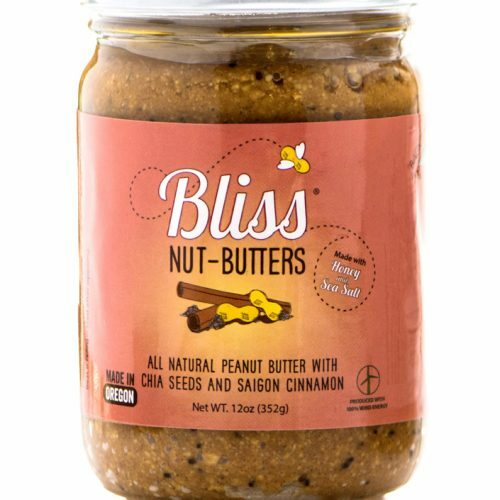 You won’t experience a sugar crash on a spoonful of Peanut Butter Bliss. Chia seeds are added for a nutritional superboost. We also use a hint of sea-salt, keeping this product as simple as possible. The end result is a tasty treat that is great for the body and good for the soul. Nutrition Facts Serv. 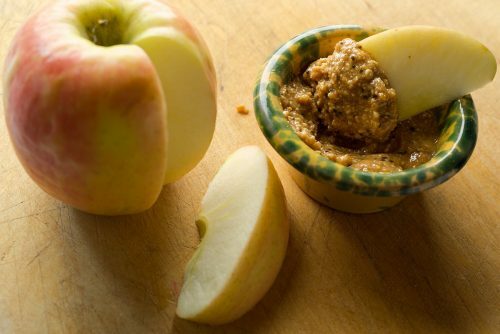 Size 2 Tbsp (32g), Servings About 11, Amount Per Serving: Calories 170, Calories from Fat 120, Total Fat 14g (21% DV), Sat. Fat 2g (10% DV), Trans Fat 0g, Sodium 150mg (6% DV), Total Carbohydrate 10g (3% DV), Dietary Fiber 2g (9% DV), Sugars 5g, Protein 6g, Vitamin A (0% DV), Calcium (0% DV), Iron (4% DV). 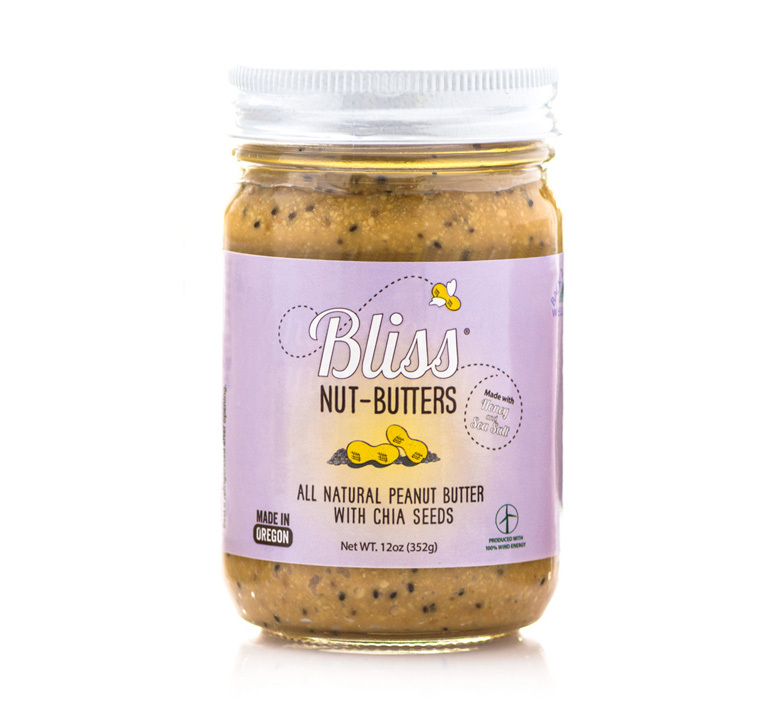 Ingredients USA peanuts, peanut oil, organic raw honey, sea salt, chia seeds. Allergenic Warning Contains Peanuts. Made in a facility that processes peanuts, tree nuts. Best if refrigerated after opening. Stir well, ingredients tend to settle after shipping.